Goal alignment and employee performance management application. 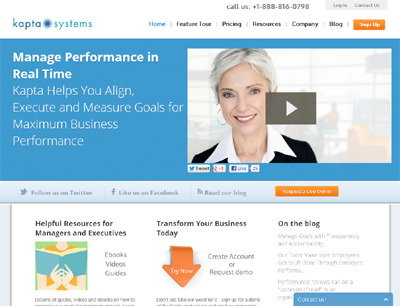 Manage employee tasks and goals and review performance. Employees can set and manage their own tasks and business goals and tie to company strategic objectives. Everyone lines up to get it done. Managers give the employee a heat map showing goal progress and outlook. It is a very easy to use employee performance and appraisal system aimed at streamlining and going paperless.